The Nike Air Woven returns for a limited run this spring, offered in six soccer-inspired colorways for the 2012 UEFA Euro Cup. The Nike Air Woven returns for a limited run this spring/summer, offered in six colorways. First released in 2001, Nike will bring back the Woven ahead of the 2012 UEFA Euro Cup. 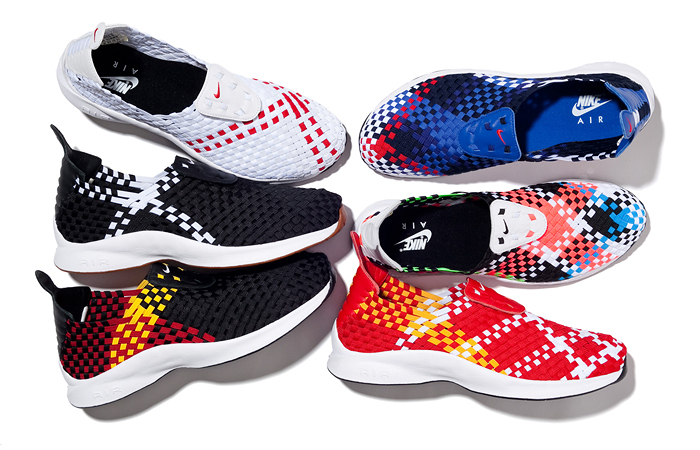 The unique, multi-colored woven upper appears in five colorways inspired by the top European national teams. An additional white and black colorway, available exclusively at SOPH., celebrates Nike's first soccer cleats. Look for the Nike Air Woven this spring at select Nike retailers.